When we heard that the company behind Eskimo Casino was launching their 2nd online casino, we couldn’t wait to try it out! Turbo Casino is the second brainchild of Lux Entertainment Ltd, a company that is located in the sunny Mediterranean. It comes as no surprise that its exact location is Malta, a well known spot in the online gaming industry. Turbo Casino is fully licensed and regulated by the MGA (Malta Gaming Authority), and after double checking their licenses we can confirm it’s definitely legit. The guys behind Lux Entertainment have proven to be creative and customer orientated with their first casino, and thankfully seem to continue this trend with their new brand. 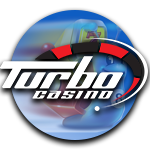 Want to know more about what you can expect from Turbo Casino? Check out our full review below! With online casinos popping up left right and center, we expect nothing less than a hassle free registration process. After all, the sign-up process is one of the first interactions a player will have with a new casino. If creating an account takes up too much time, the form is difficult to navigate or is otherwise inconvenient, chances are people will either drop out or have a bad first impression of the casino. Fortunately, creating an account at Turbo Casino is easy as one-two-three, and shouldn’t take anyone longer than a minute or two tops. No questionable information is required, just the usual personal info and password creation. Just like most online casinos, Turbo Casino offers players a wonderful welcome bonus. Welcome bonuses can be seen as an incentive to create an account, as well as a simple “thank you” to players who just registered. New players will receive 51 free spins upon registration. Players from eligible countries (check their site for a complete list) can activate the spins on the slots Book of Aztec or Admiral Nelson by opening the slot. Furthermore, players will receive a deposit bonus + 100 additional free spins. Simply make your first deposit to claim the welcome bonus of 100% up to 151 euro. This means that if you deposit 50 euro, a bonus of 50 euro + another 100 free spins on the same slots will be added to your account! Special offers may pop up occasionally to promote new slots or mark special holidays. Furthermore, Turbo Casino has a team of professional employees that always keep an eye out for VIP players. Anyone who stands out can expect a personal offer for which they will be contacted. We really appreciate this form of marketing since all offers are truly personalized for each individual. This shows us that customer satisfaction is of utmost importance and that the casino doesn’t hesitate to go the extra mile to deliver outstanding service. In our book, a great casino is paired with popular payment methods to ensure all players can access their account balance instantly and start having fun. Thankfully, Turbo Casino offers an array of international deposit options to do just that. It goes without saying that it’s possible to make deposit via VISA and MasterCard. Both options are fully secured so you never have to worry about your details falling in the wrong hands. Rather pay via an e-wallet? Make instant and hassle free payments with Skrill (formerly known as Moneybookers) or Neteller. A more anonymous payment option is offered via Paysafecard, a type of prepaid card which you can purchase in stores or online. Keep in mind that you’ll always have to enter some personal information during registration, but at least paysafecard makes it possible to keep certain transactions separated from your regular bank account should you wish to do so. Last but not least, players are able to make a bank transfer. Besides a nice variety of different payment methods, they offers players the opportunity to deposit rather low amounts which makes Turbo Casino a great place for gamblers with any budget. Withdrawal limits are very flexible as well, and requests shouldn’t take more than a few workdays before they’re processed and the money is your account. Turbo Casino has a great (video) slot selection, offering games from several outstanding providers. We like to keep our reviews honest, and although we really enjoyed browsing through the many slots, we have to say that the live casino section doesn’t quite match the selection of their competitors. At the moment they only offer NetEnt live tables, which doesn’t give players much of a choice. We hope to see this change in the future. For the time being roulette and blackjack lovers can still entertain themselves with the options on hand. On the bright side – the slot selection counts hundreds of unique and exciting slots from game providers NetEnt, Microgaming and Amatic. The latter is a big plus for us, since Amatic Games are not available in most online casinos and thus gives certain added value to Turbo Casino. Whichever type of slot you prefer, Turbo Casino is sure to have a selection for you. NetEnt is one of our favourite slot providers, offering a wide variety of games with a classis look, but also loads of original video slots with all sorts of set-ups. Turbo Casino is a user friendly casino with an uncomplicated lay-out on both desktop and mobile devices. In our opinion, even people who have never gambled before will have no issue navigating the website. Should you for some reason experience any issues or have questions about the casino, you can always count on their top-notch customer service team. We’ve played at tons of online casinos throughout the years, and find that a lot of them do not have well trained staff in this department. They often lack motivation to solve the player issue and sometimes it even seems like they’re not well informed about their product. Thankfully, our experience with the support staff from Turbo Casino couldn’t be more pleasant. When reviewing any online casino we always get in touch with the customer care department and ask them a few questions to measure the quality of their service. Not only did they answer our chat withing turbo time, but the agents we spoke to were exceptionally friendly and accommodating. Turbo’s customer support department can be reached via email, live chat and phone. Personally we always opt for live chat, except for when sending documents but then again this all depends on your own preference. Are you looking for a fun and creative casino that really puts customers first? 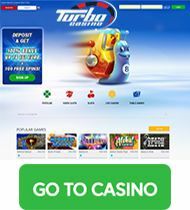 Then you and Turbo Casino are a match made in gambling heaven!